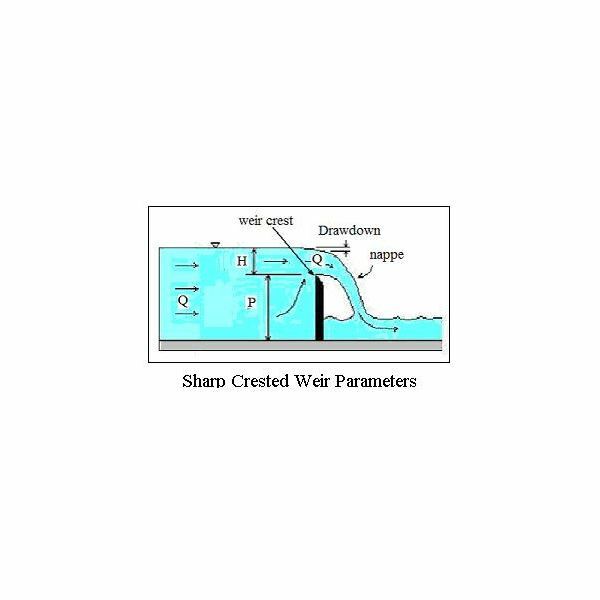 Download Excel spreadsheet templates for storm water runoff control structure design in U.S. units or S.I. 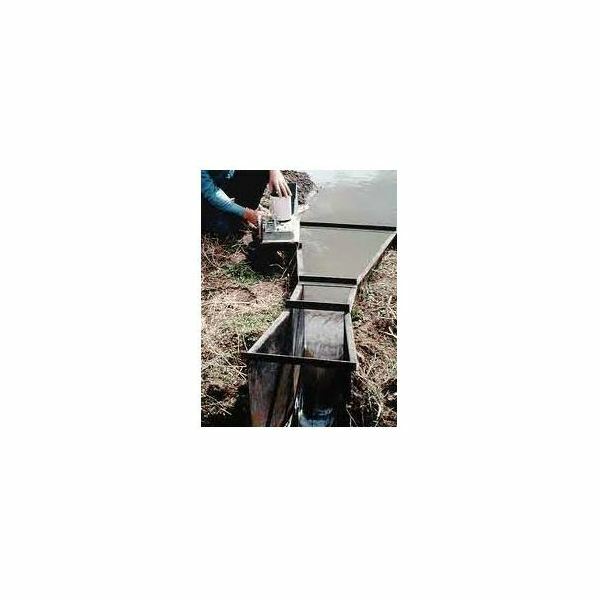 units, to be used with storm water retention or detention ponds. 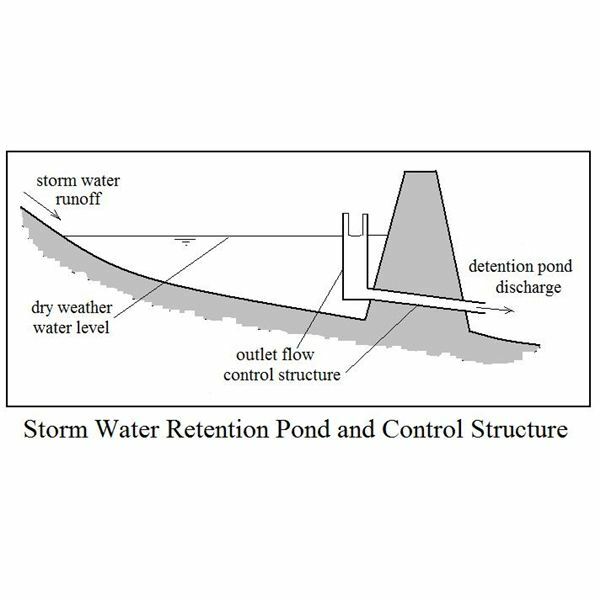 The control structure will reduce the detention pond discharge to the pre-development, watershed peak storm water runoff rate. 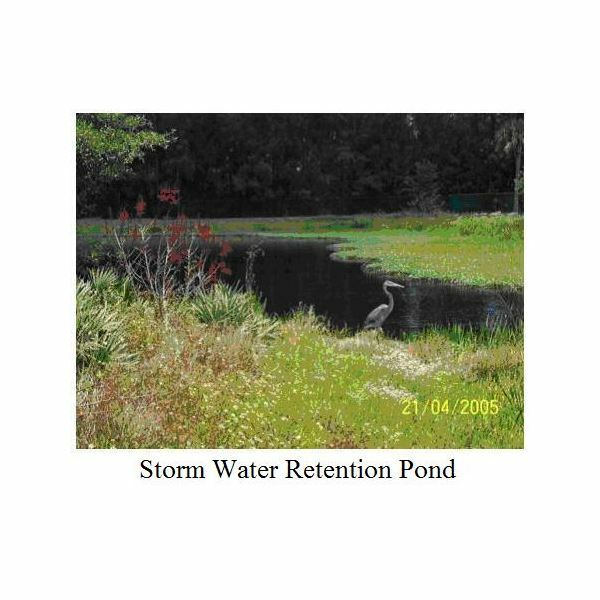 The Excel spreadsheets that can be downloaded from this article use Excel formulas to calculate the volume needed for storm water retention or detention ponds. 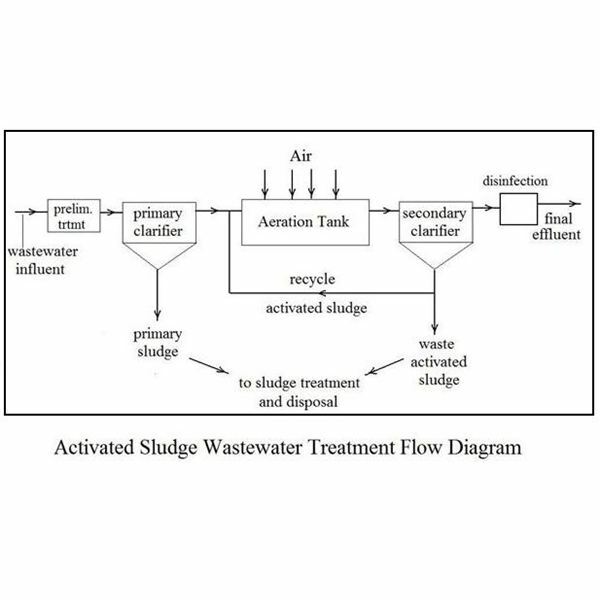 Parameters needed in the equations include, watershed time of concentration and peak storm water runoff rate. 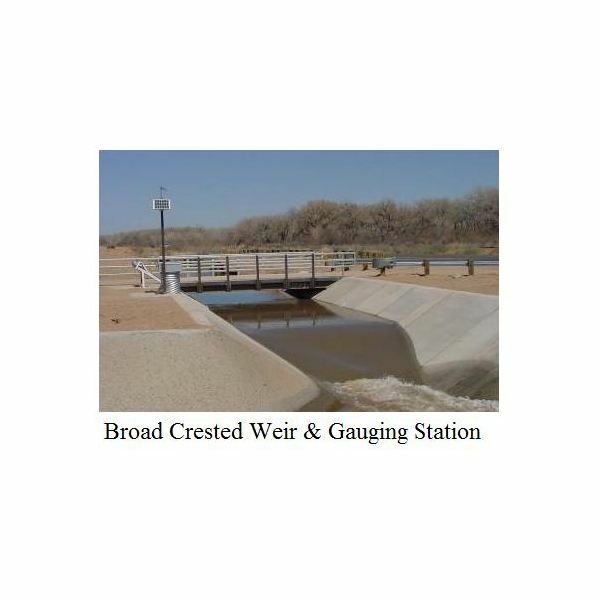 Broad crested weir flow rate calculations can be made with the Excel spreadsheets that can be downloaded from this article. 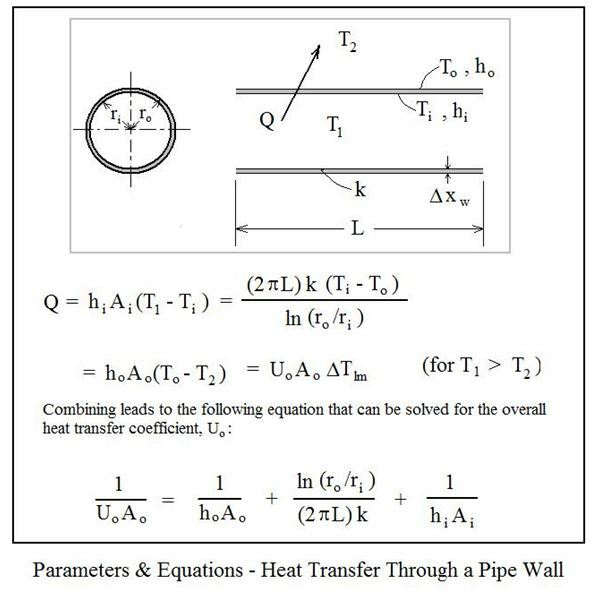 The open channel flow rate can be found using a broad crested weir equation for critical flow over the weir, along with the minimum weir height needed for critical flow. 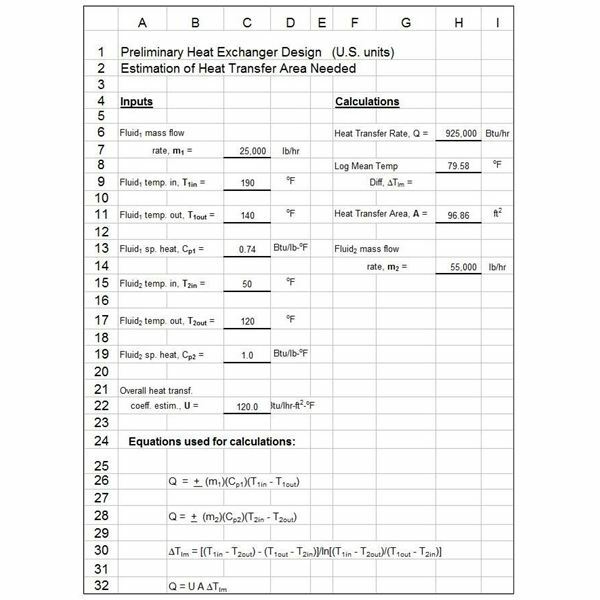 Download spreadsheets with Excel formulas to make Parshall flume open channel flow measurement calculations. 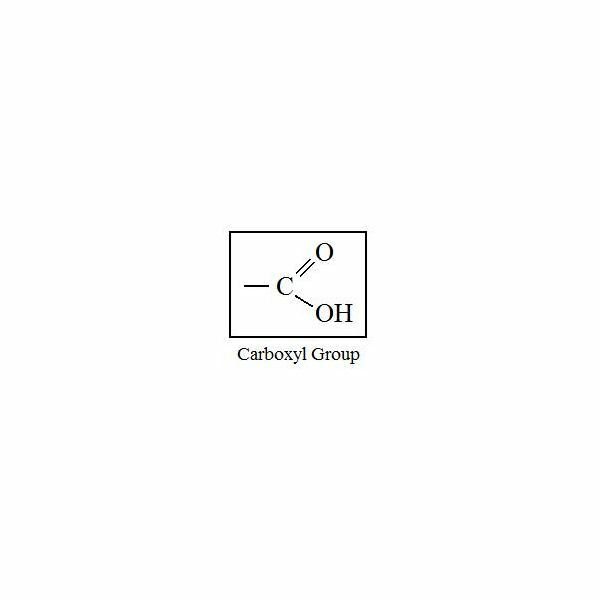 These have been built into the Excel spreadsheets for free flow and submerged flow with U.S. units or S.I. units. 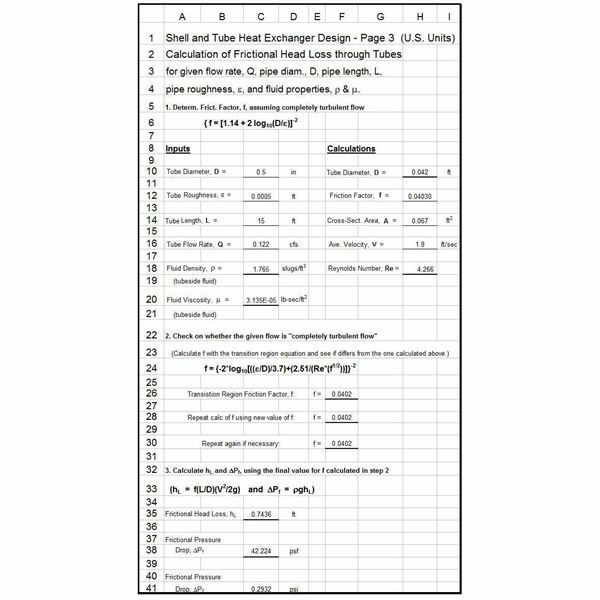 Get Excel spreadsheet templates for calculating a watershed time of concentration. 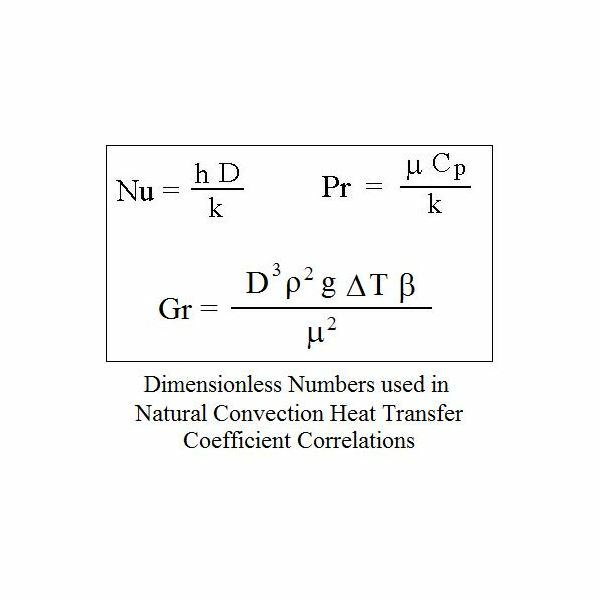 This parameter is of interest primarily for its use to calculate peak storm water runoff rate for storm water management facilities. 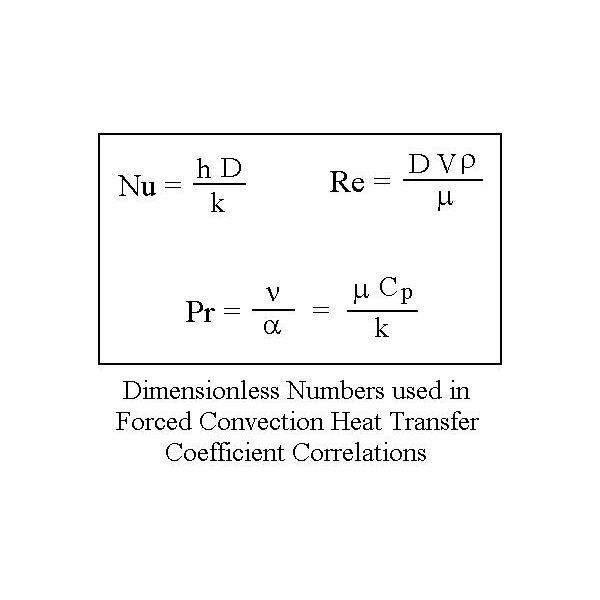 Rational method runoff coefficient tables are provided in this article. 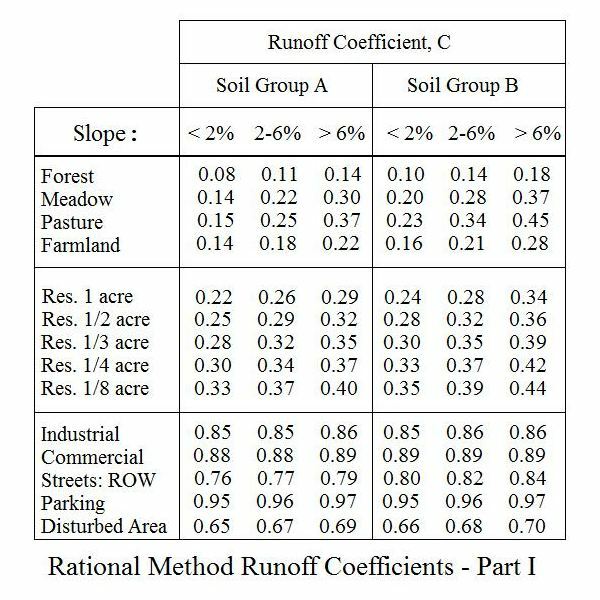 Watershed runoff coefficients depend upon the land use, soil type and slope of the watershed. 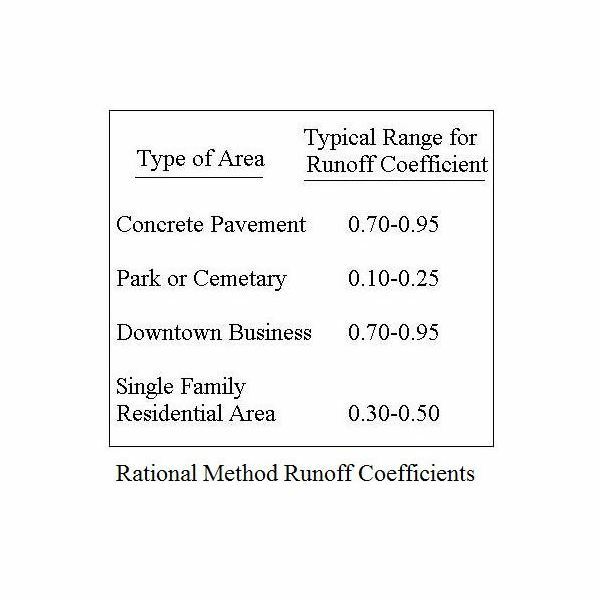 Runoff coefficients are needed to calculate storm water runoff rate using the Rational Method. 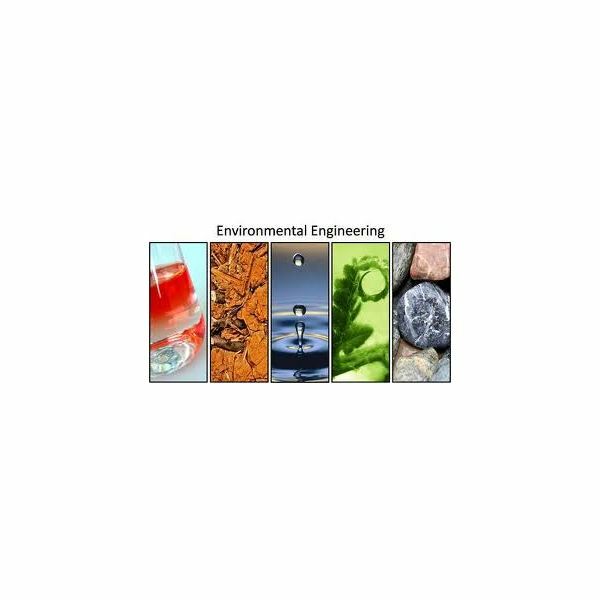 Download Excel spreadsheets to calculate design rainfall intensity and design peak storm water runoff rate. 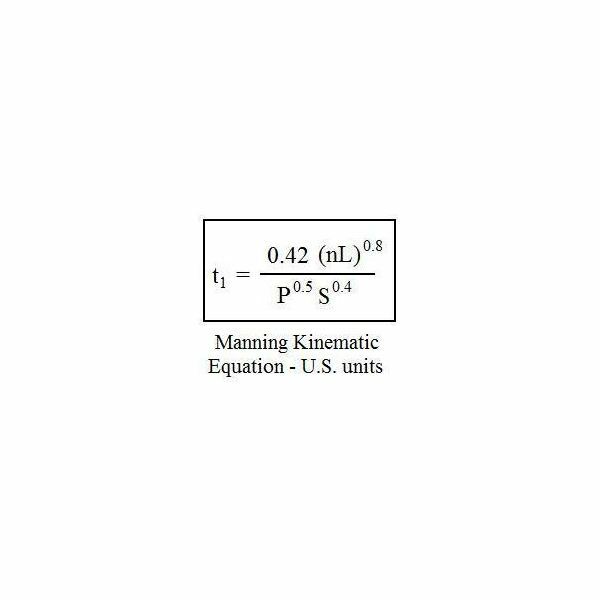 The Excel formulas derive an equation for rainfall intensity and then calculate the design values in either U.S. units or S.I. units. 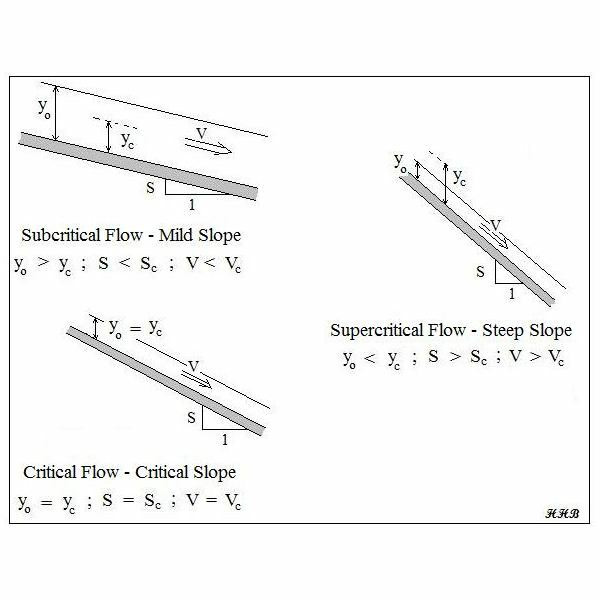 This rectangular weir flow template calculates the water flow rate over a suppressed or a contracted rectangular weir. 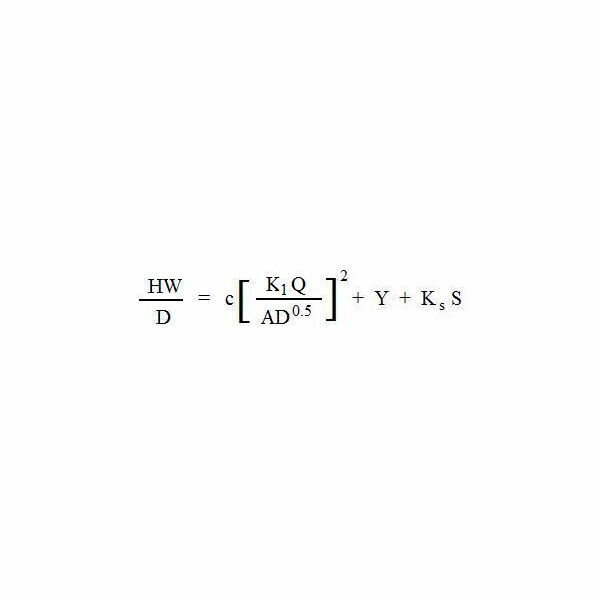 Two equations are used to calculate the weir flow in each case.